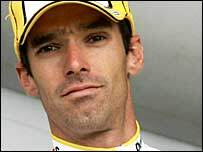 Britain's David Millar is to join American team Slipstream Sports for 2008, according to media reports. The 30-year-old Scot, who finished 69th in the recent Tour de France, is at the end of his current contract with Spanish team Saunier Duval. Americans David Zabriskie and Christian Vandevelde are also joining Slipstream. The team, which was formed in 2007, wants to compete in next year's Tour de France and operates an aggressive anti-doping policy. Millar served a two-year drugs ban between 2004 and 2006 but is now one of the most prominent critics of cycling's doping culture. He wore the Tour leader's yellow jersey following his time-trial victory at Futuroscope in 2000, and has also won stages in the Tour of Spain. Exclusive Cape Epic blog ..
MTB: The best of 2007 ..